With funding from the Consumer Data Research Centre (CDRC) we’ve been working with researchers from the University of Sheffield and University of Sterling to open up FixMyStreet data for researchers. 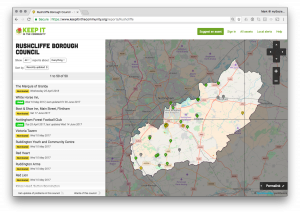 For an example of the kind of thing that can be done with this data, this group have produced maps for every local authority in the UK, mapping FixMyStreet reports against indices of deprivation (a few examples: Sheffield, Harrogate and Cardiff). These can be explored on our mini-site, where for each authority you can also download a printable poster with additional statistics. If you’d like to know more about what these maps mean and what we learned from the process, there’s a report exploring what we learned here. 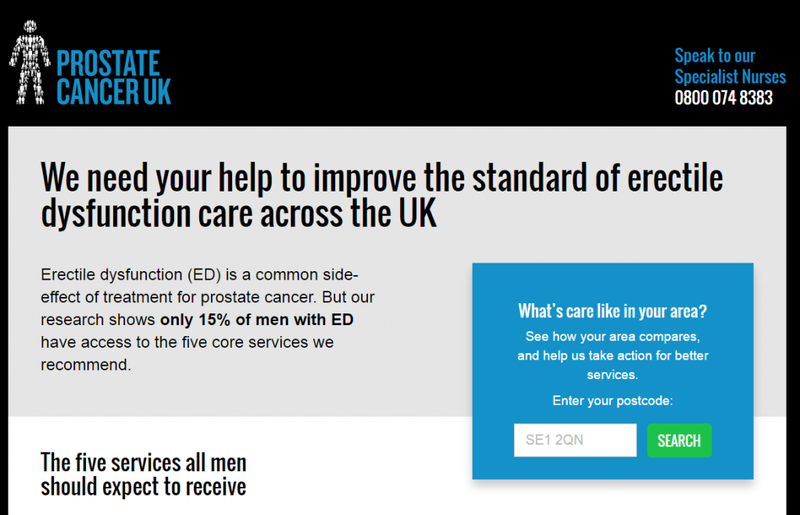 Sign up to our mailing list to hear about future research. It’s something we’ve been wanting for a long time, and it’ll very soon be a reality: FixMyStreet reports will, where appropriate, be channeled to Highways England. Look out for this functionality in the coming week. Previously, if you reported a problem on one of the country’s motorways or major A roads, we had no way of identifying whether it was the responsibility of the government department rather than the council. We had to rely on whichever council the report fell within, and hope that they would forward it on. But now, we can send reports off to just the right authority. What’s changed to make this improvement possible? Well, FixMyStreet uses our MapIt software, which matches points (in this case, the pin you put in the map when you make a report) with the boundaries they fall within (mainly, until now, council boundaries). That’s how it knows which council to send your issue to, even if you have no idea yourself when you make the report. Motorways and A roads have boundaries too, of course, but that data wasn’t previously available under an open licence that would allow us to use it on the site. That all changed with GOV.UK’s release of the Highways England Pavement Management System Network Layer — just what we needed! So now, if you make a report that falls within a small distance from one of the relevant roads, FixMyStreet will use MapIt in combination with this data layer. You’ll see a message asking for confirmation that your report actually does pertain to the highway: where roads cross a motorway, for example, a pin could relate to the road on a bridge, or the motorway below. Confirm either way and boom: off it goes to either Highways England or to the council, as appropriate. So that’s a big thumbs up for open data: thanks, GOV.UK! 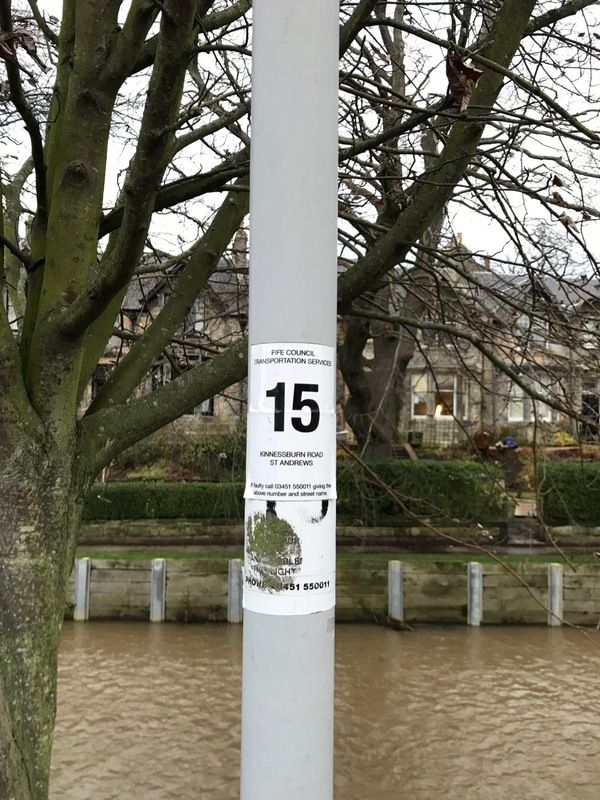 It’s also a good example of how our commercial work, providing FixMyStreet Pro to councils as their default street reporting system, has a knock-on benefit across the open source FixMyStreet codebase that runs not only FixMyStreet.com, but sites run by other folk around the world. As you may remember, we recently added red routes to Bromley for FixMyStreet Pro, and it was this bit of coding that paved the way for the highways work. We can only prioritise not-for-profit development if we have the funding for it; but being able to improve FixMyStreet for everyone on the back of work done for commercial clients is a win for everyone. Or, as our developer Struan says, in a metaphor perhaps better suited to shipping routes than highways, “a rising tide raises all boats”. When you consider that FixMyStreet has been running for over a decade, it’s not really surprising that the maps in some areas are a little over-crowded with pins. That can be a problem for anyone trying to make a new report — even when you zoom right in, we were beginning to find that in some very congested areas, it was difficult to place a new pin without clicking on an existing one. We’ve tried to remedy this in various ways in the past. For a while we only displayed newer reports by default, a decision which we discarded when we brought in pagination, allowing users to click through batches of reports rather than seeing them all in one long list on a single page. But even so, arriving at a map absolutely covered in pins and having to look around for that button doesn’t exactly seem like a nice, smooth user journey, so we’ve revisited the matter. Why not just delete the old reports? We’ve always had a policy of keeping every report live on FixMyStreet (unless it’s reported to us as abusive, or its maker contacts us to ask us to remove it — and even in this latter case we’d prefer to retain the content of the report while anonymising it). This is because the reports made to councils build up to create an invaluable archive of the issues that various regions of the country face, through time. The historic collection of reports allows planners to understand recurring or seasonal problems; and researchers use this data as well, to get insights into all sorts of issues. For examples, see Réka Solymosi’s presentation at TICTeC on using FixMyStreet data to understand what counts as ‘disorder’ in the environment, or mySociety’s own research on why some areas of the country report on FixMyStreet more than others. When you visit a map page on the main FixMyStreet site, by default, you’ll again only see reports that are less than six months old, and that are still open. A report remains ‘open’ until the council marks it as ‘closed’, or a user or the council marks it as ‘fixed’. ‘Closed’ means that the council doesn’t intend to do further work on the issue, which can be for reasons such as the issue not falling within their responsibilities or because it is part of their regular maintenance schedule and will be seen to in time. To keep things simpler for app users, the display there is set to only show newer, open reports, so if you want the full range of options, you’ll need to switch to viewing the site on a desktop. Additionally, reports that have been closed for six months without any update being made will now no longer allow updates. If you need to update an issue that falls into this category, we recommend starting a new report (possibly linking to the old one for reference if it provides useful information for the council). 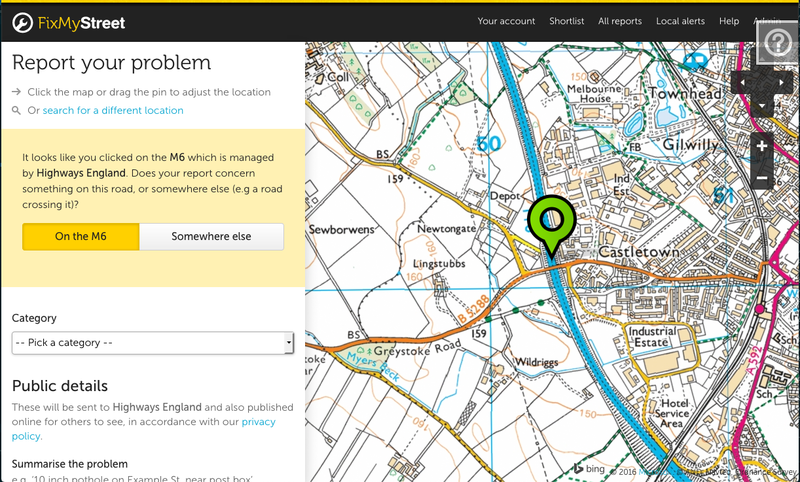 Some councils use FixMyStreet Pro as their own fault-reporting software. 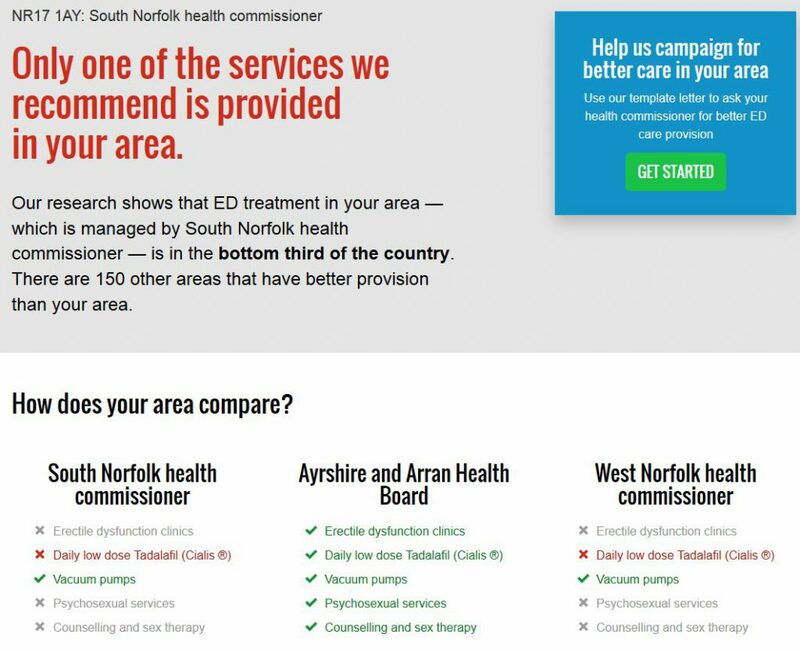 These councils can opt whether or not to adopt these defaults, so your experience may be slightly different when visiting FixMyStreet via your local council’s own site. We think that we’ve arrived at a more intuitive solution than those we tried before — and we hope that these options will suit everyone, whether you’re a user in a hurry coming to make a quick report, or someone who’d like to see a more in-depth history of the area. Give it a go, and then let us know your thoughts. 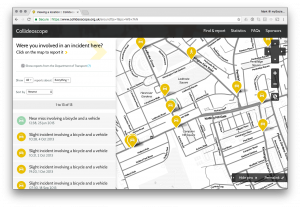 In 2014, along with Integrated Transport Planning (ITP), we created Collideoscope — a service based on our FixMyStreet Platform to map collisions and near misses between motor vehicles and cyclists. Through a mix of imported Department of Transport Data and user submitted reports, the service highlighted potential dangerous hotspots before cyclists were killed or seriously injured. Since the launch of Collideoscope, cycling has seen even more of an increase in popularity, and we suspect that there have been numerous new initiatives and campaigns developed to highlight and tackle the dangers faced by cyclists through insufficient provision of safe cycling infrastructure and dangerous driving. So a recent approach from the Merseyside Road Safety Partnership (MRSP) was of great interest: they wanted to explore how we might revisit this task and determine if Collideoscope still has a role to play — or whether some other approach might be more beneficial. Over the next three months, with the help of funding from MRSP, we plan to carry out a fresh discovery exercise to identify up to date user needs around collision prevention, and also determine how well served these issues are already by other similar initiatives around the country. In addition to speaking to cyclists, campaign groups and safety experts, we’ll also be working with MRSP and in particular the Cycling Safety team within Merseyside Police to better understand how submission of reports can actually contribute to the development of actionable policy. We’d also like to better understand the process of evidence submission, especially video evidence, in cases of near misses and collisions, and improve how that might lead to appropriate enforcement action. For the moment we’re approaching all of this with a very open mind. We’re not going to assume that Collideoscope as it currently exists is necessarily the correct approach, and even if it does have a role to play we suspect it may need to be substantially altered to cater to any newly identified user needs. Whilst this exploratory part of the project is going to be centred on Merseyside, we’re keen to hear from groups across the country and if you’d like to be consulted or participate in the research we would be keen to hear from you. In the meantime, ride safe and we’ll update with progress reports over the next few weeks.